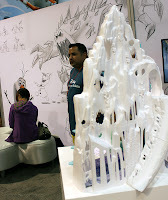 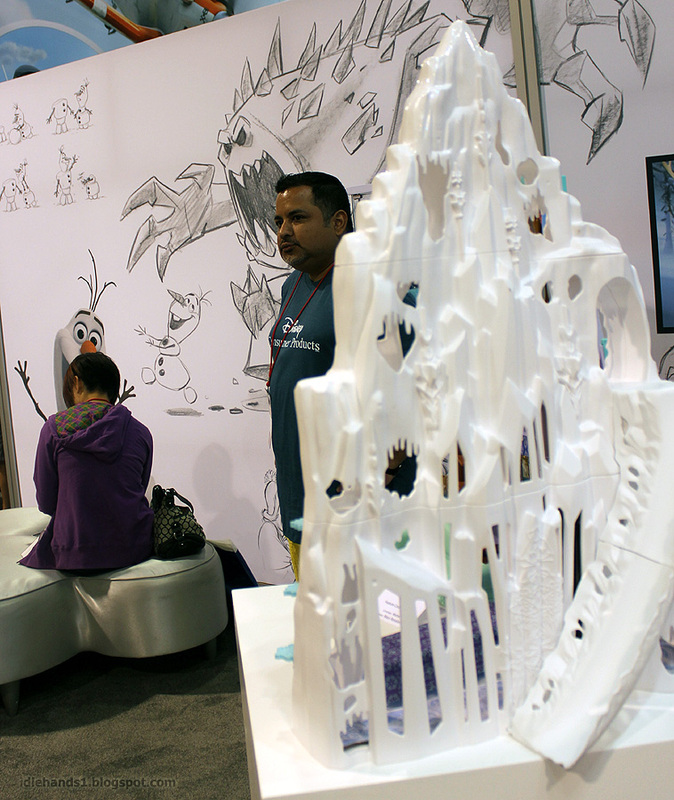 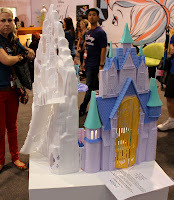 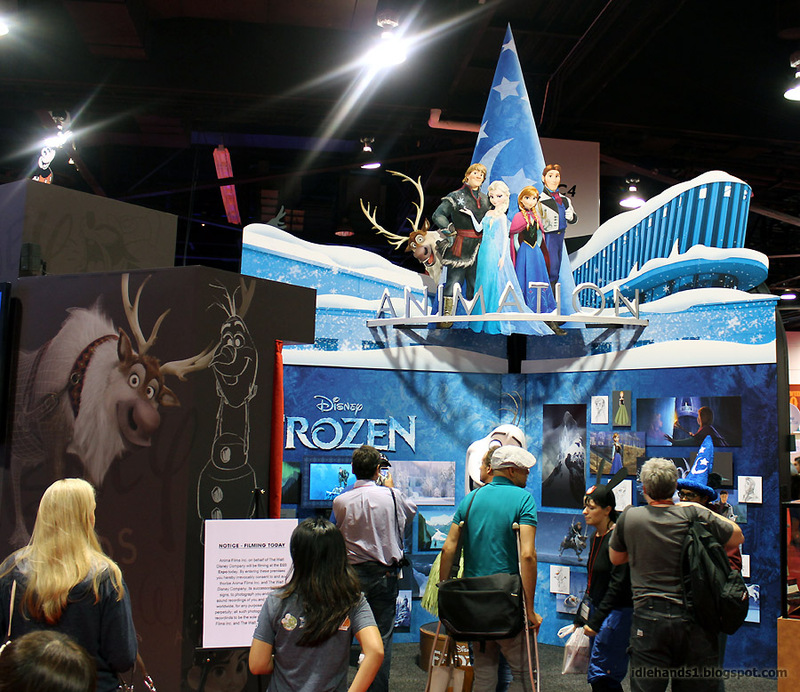 Disney's D23 Expo may be done, but we've got plenty of gems yet to show you from the show floor with photography courtesy of Steve Sievers. 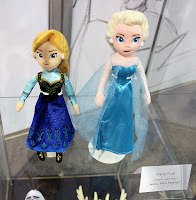 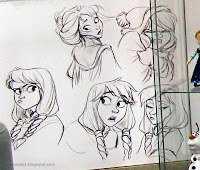 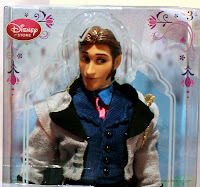 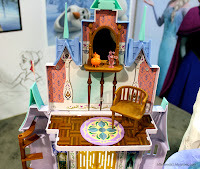 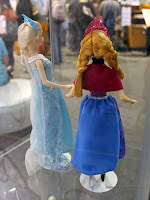 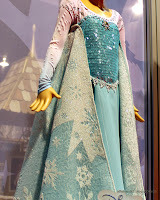 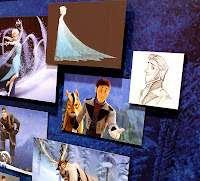 One such section featured the newest animated feature starring classic Disney ladies as pretty as they come with costumes sure to make all the women I know squee with anticipation...and begin plotting their cosplays for next year! 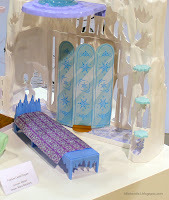 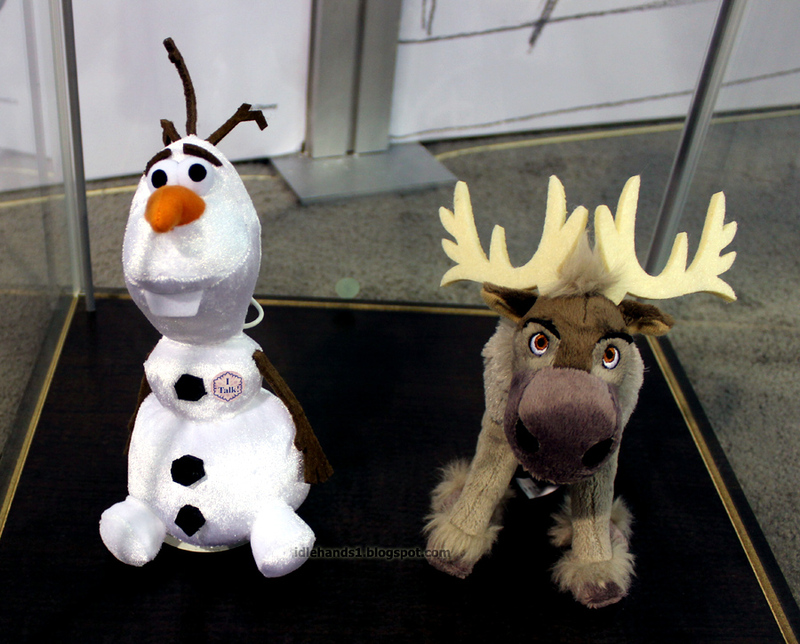 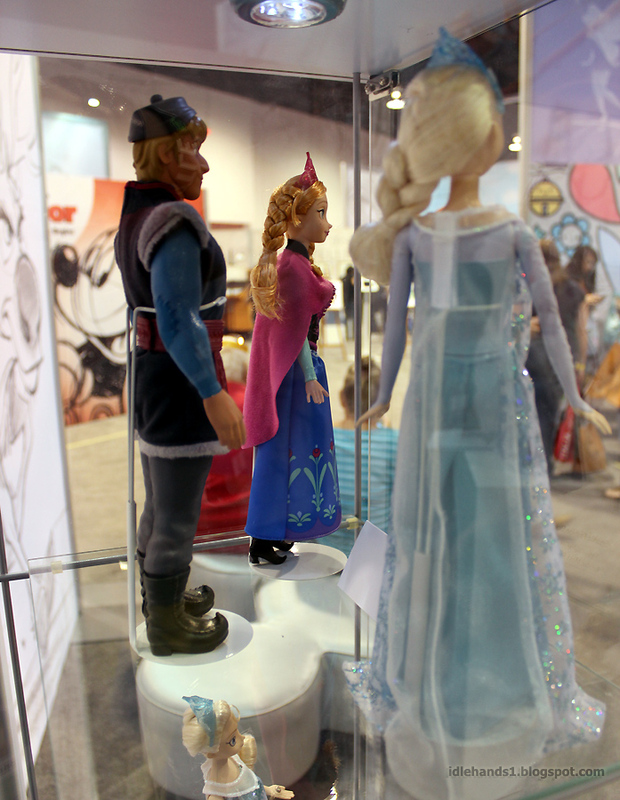 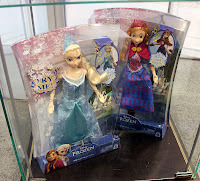 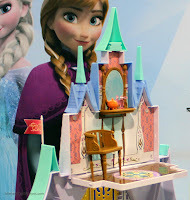 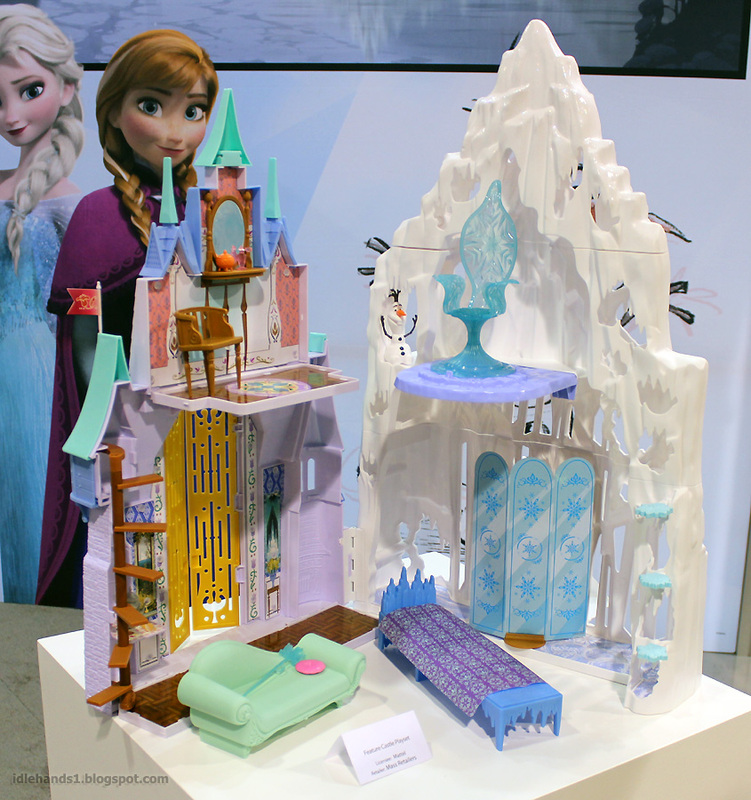 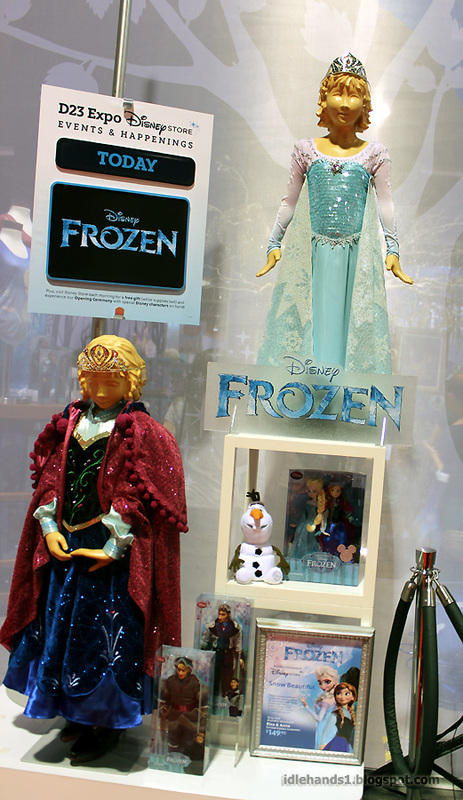 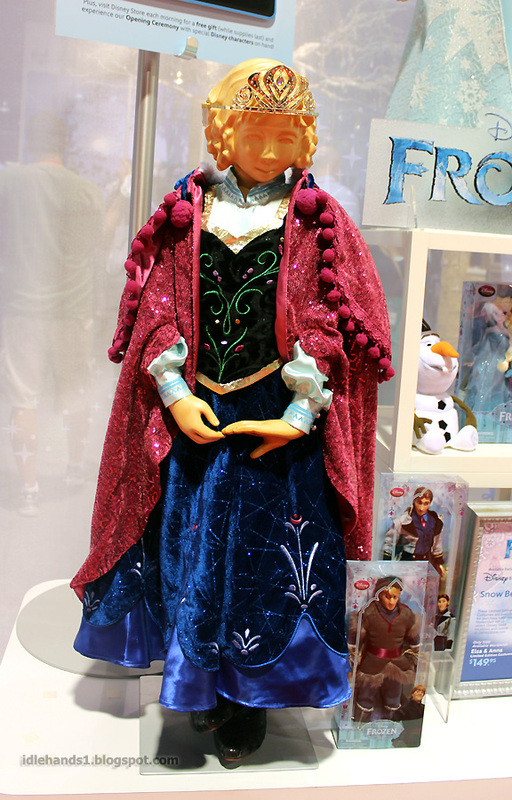 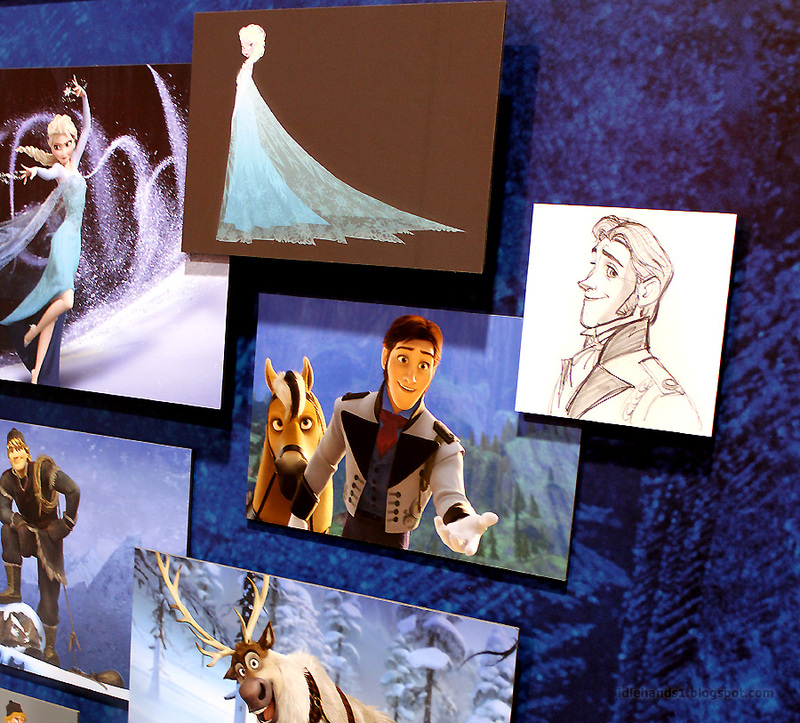 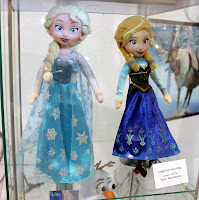 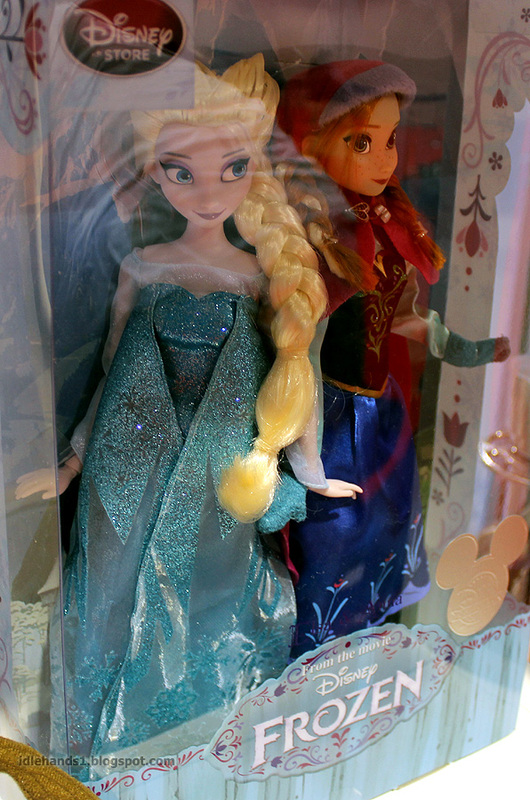 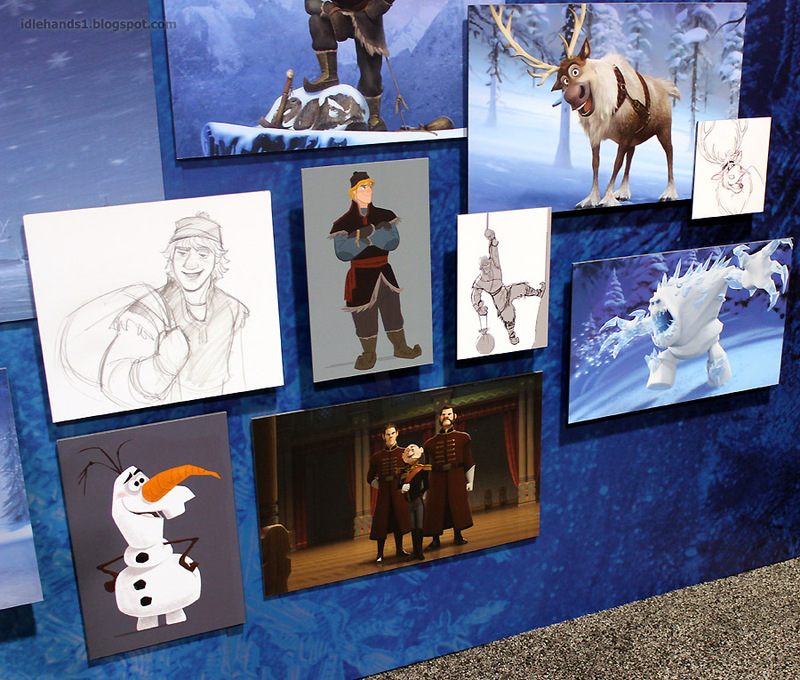 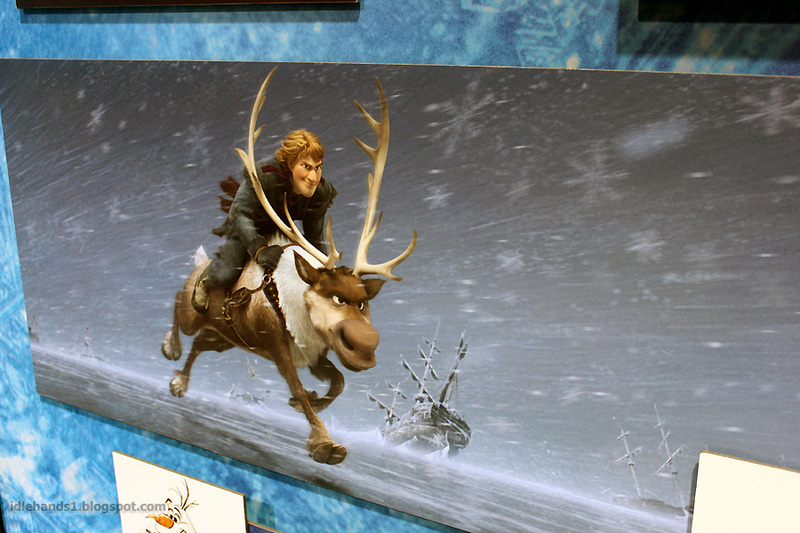 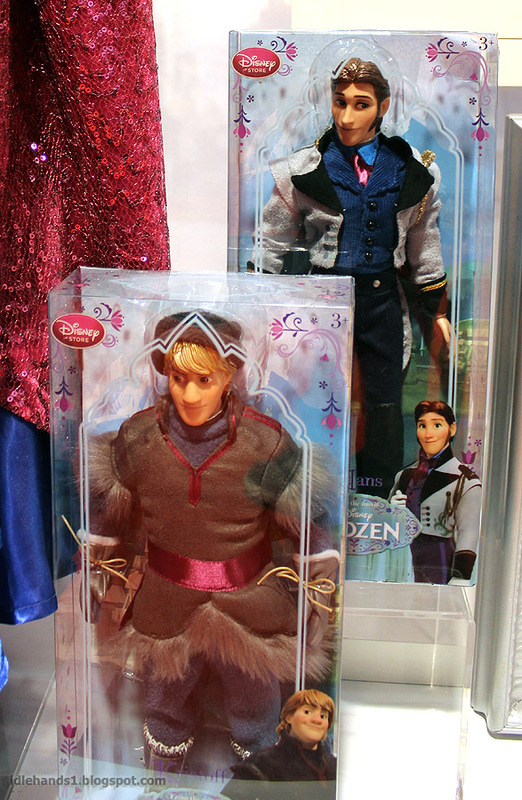 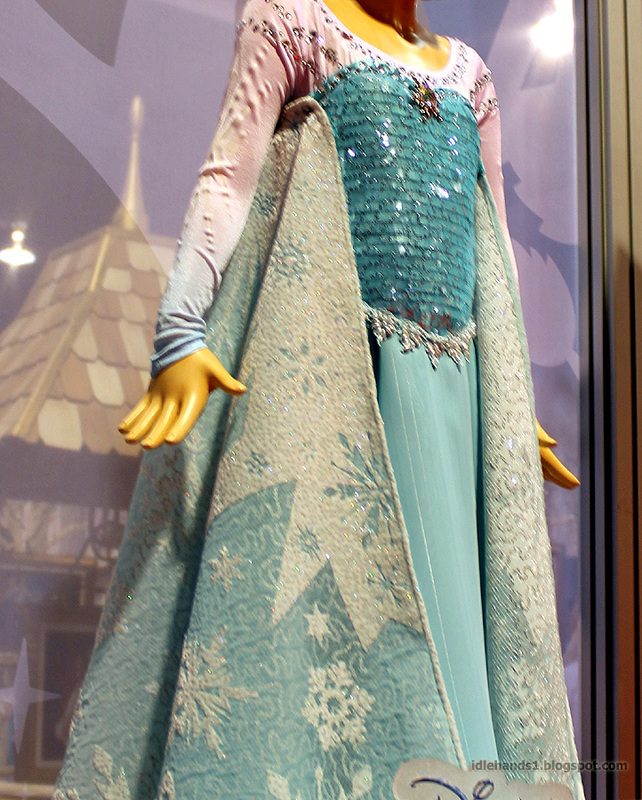 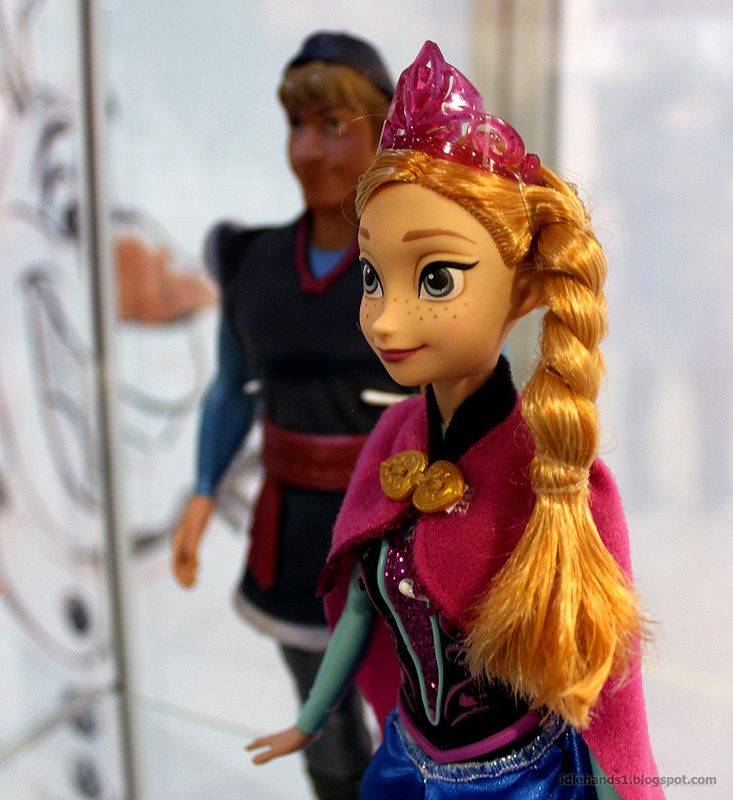 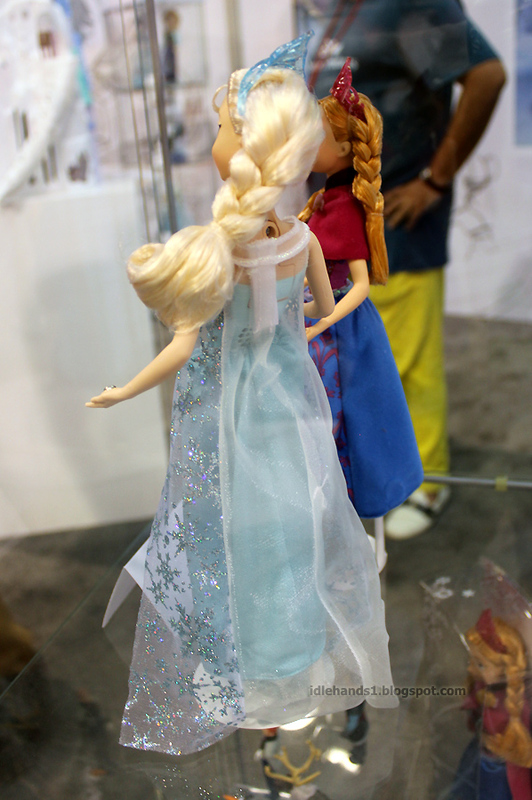 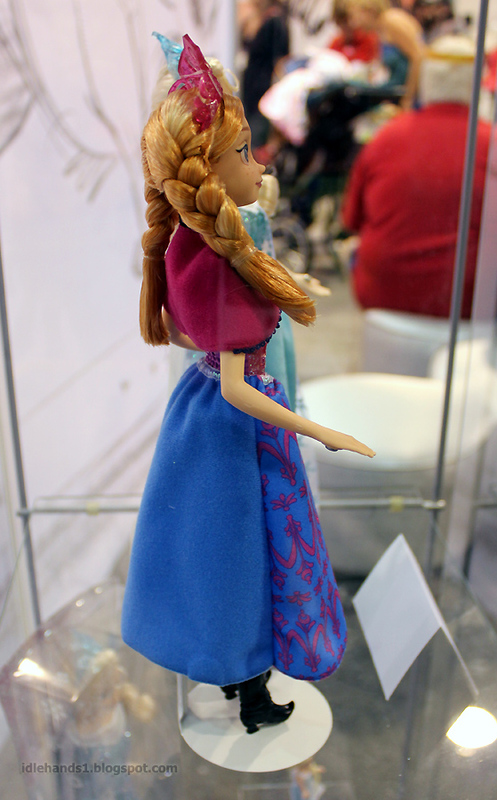 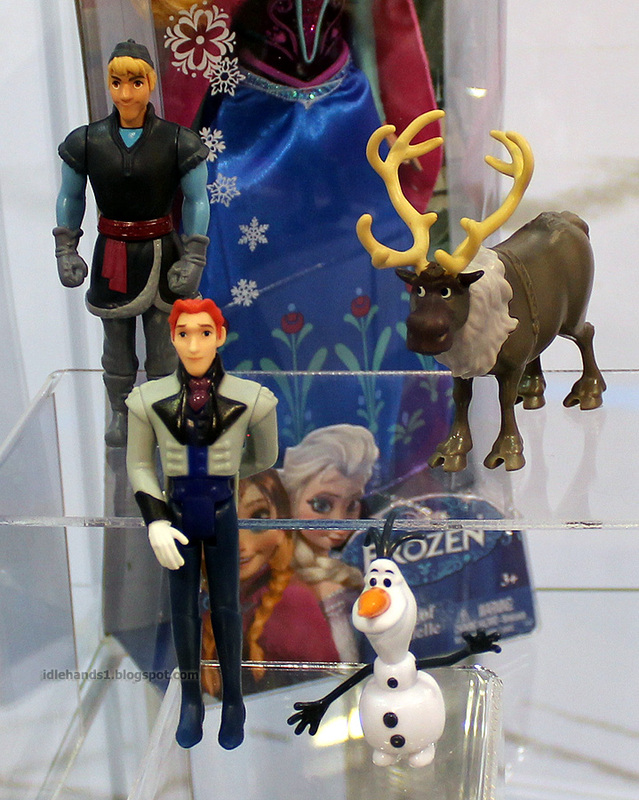 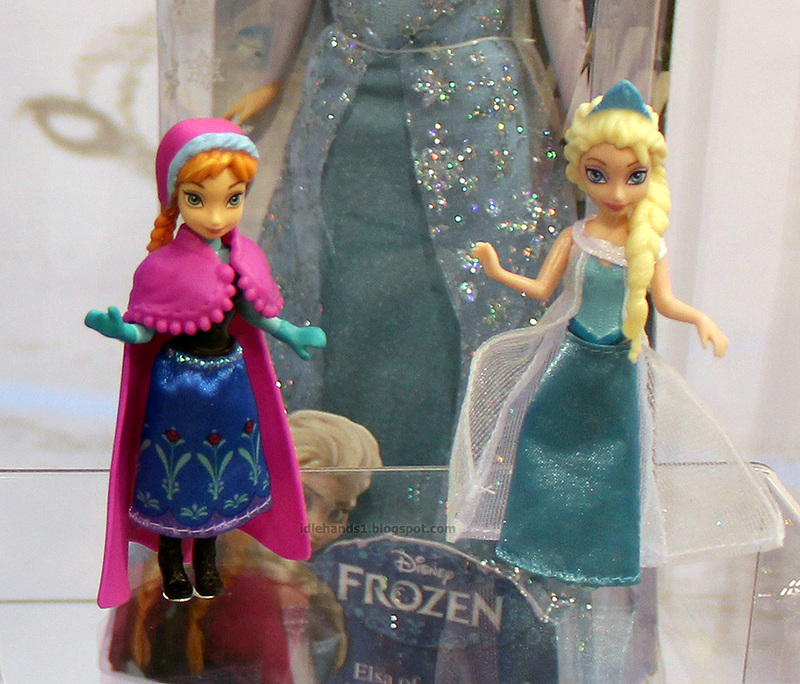 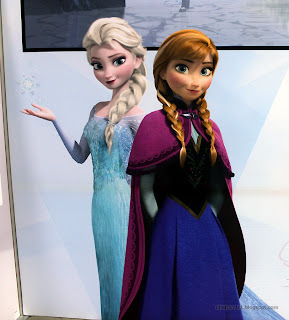 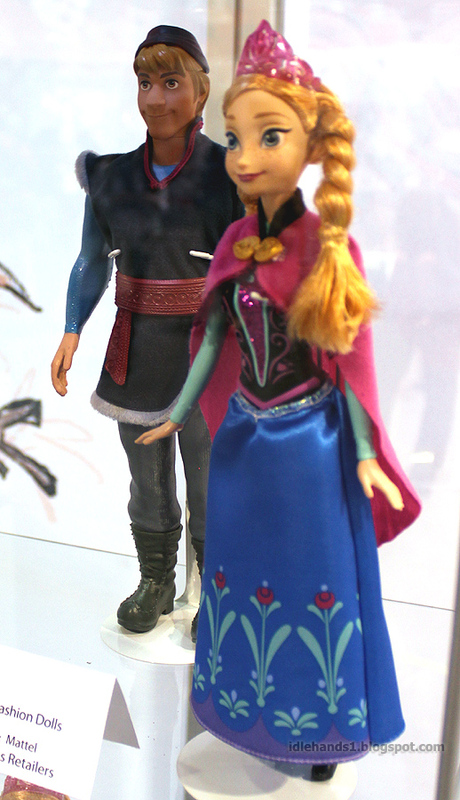 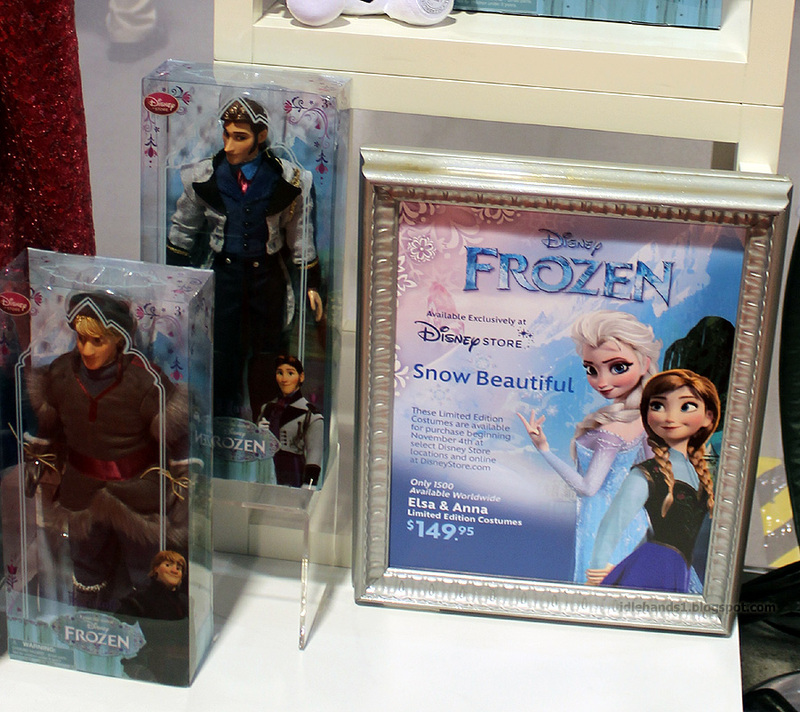 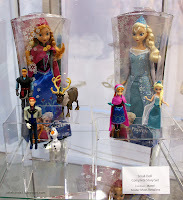 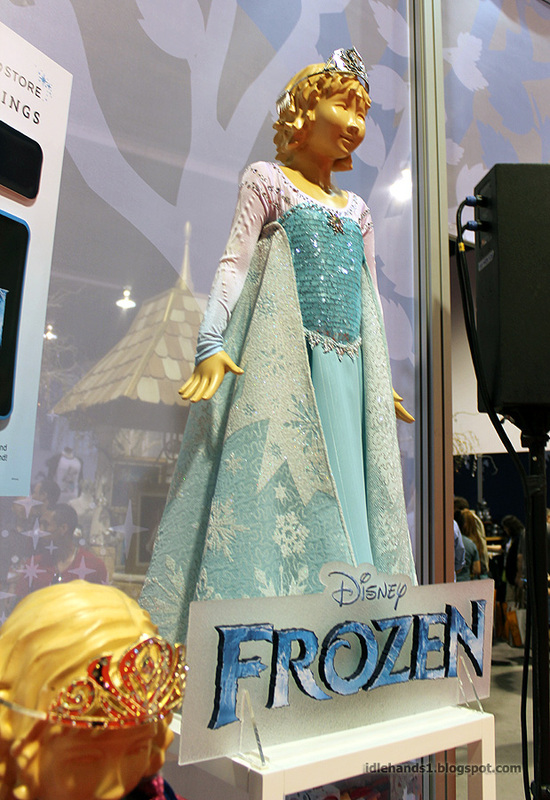 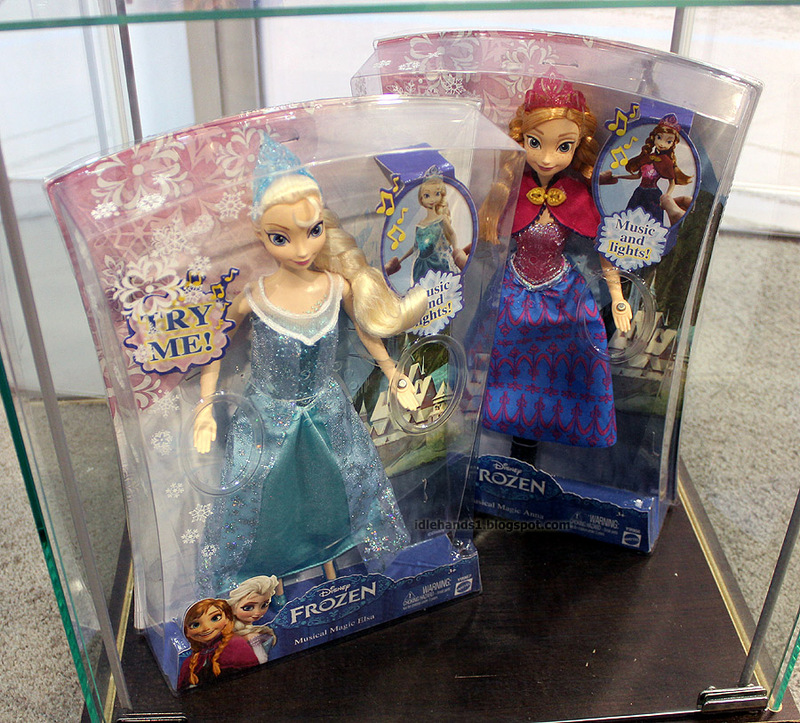 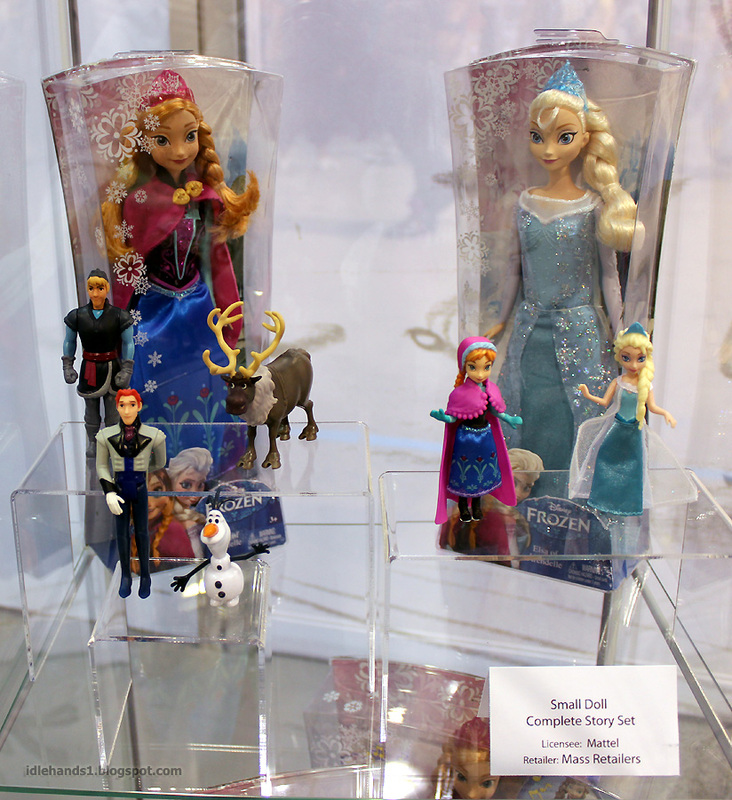 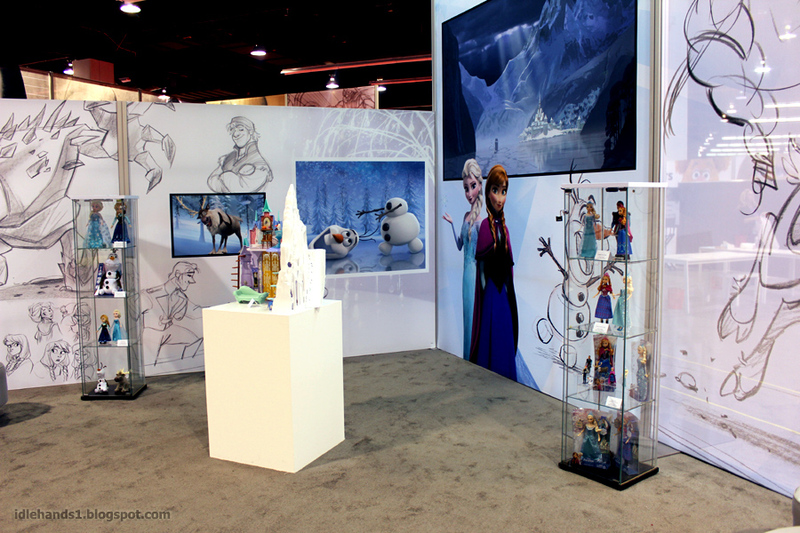 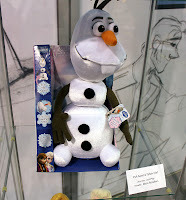 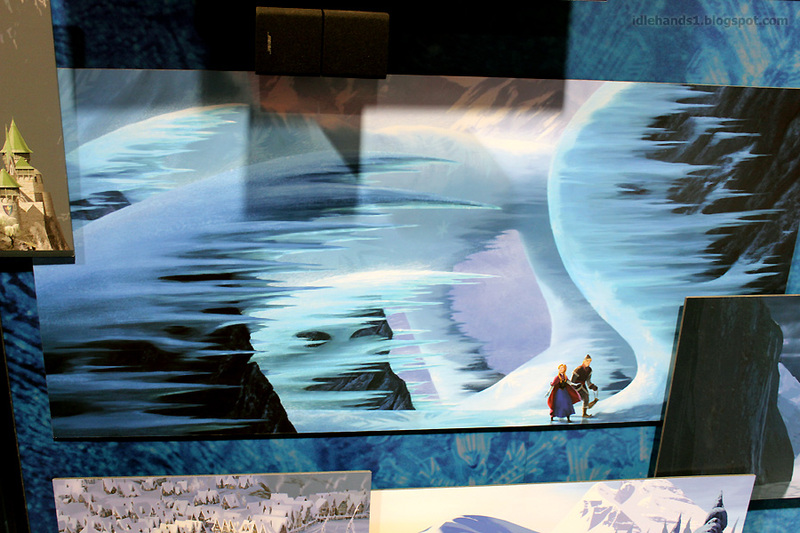 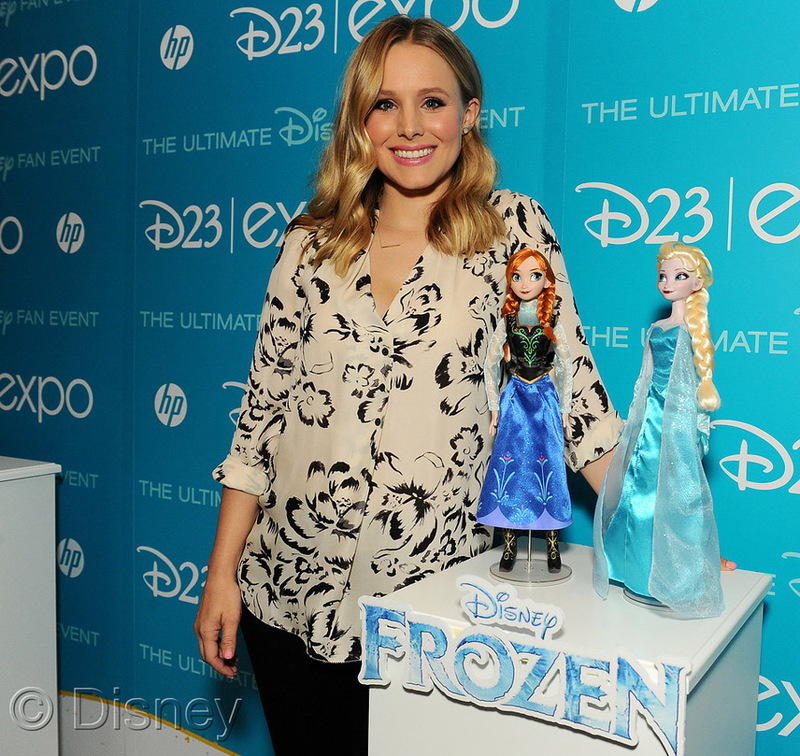 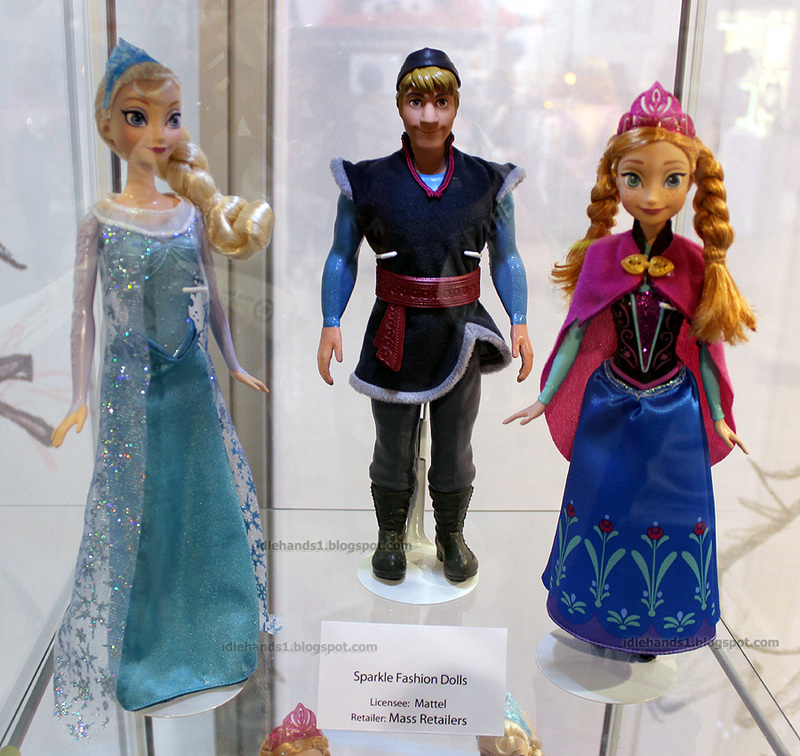 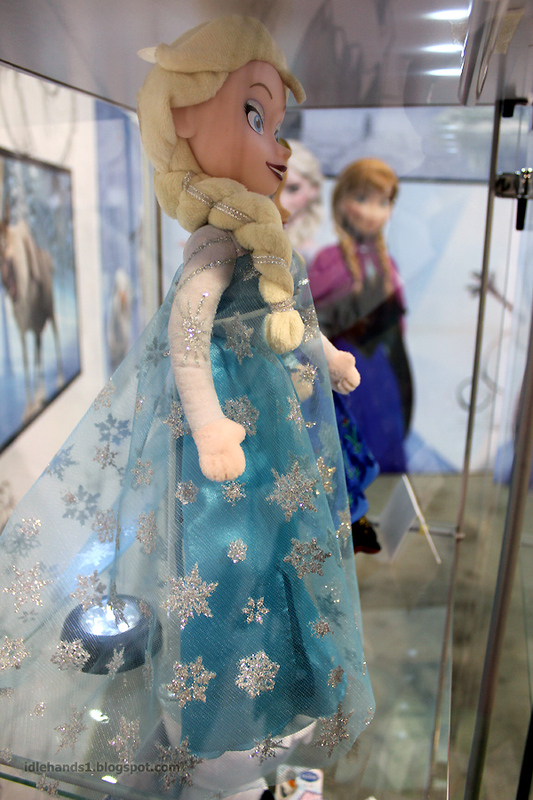 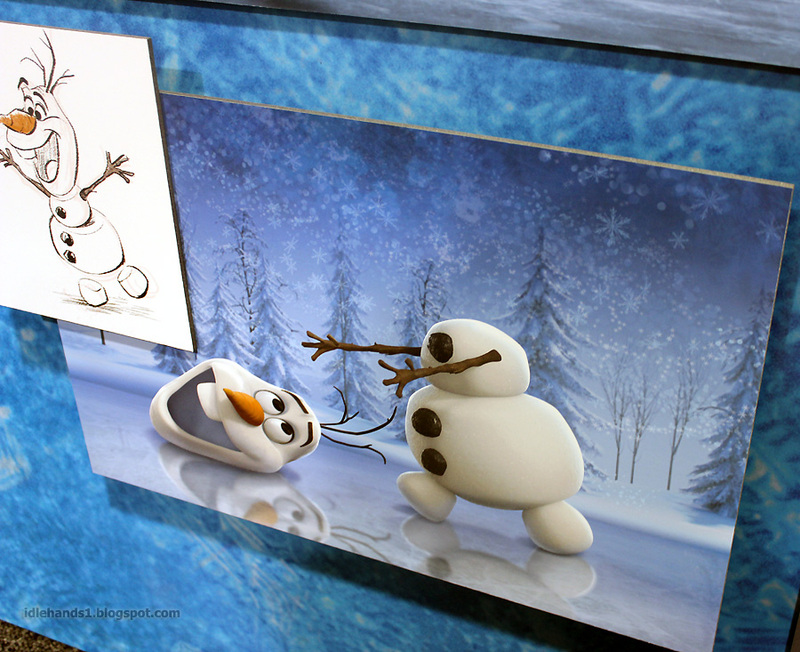 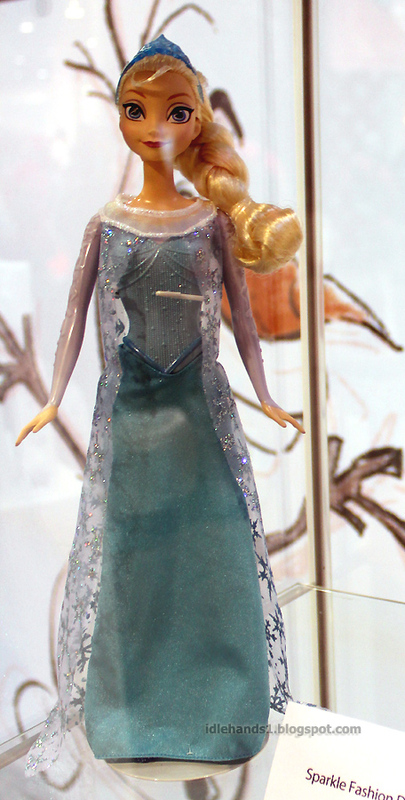 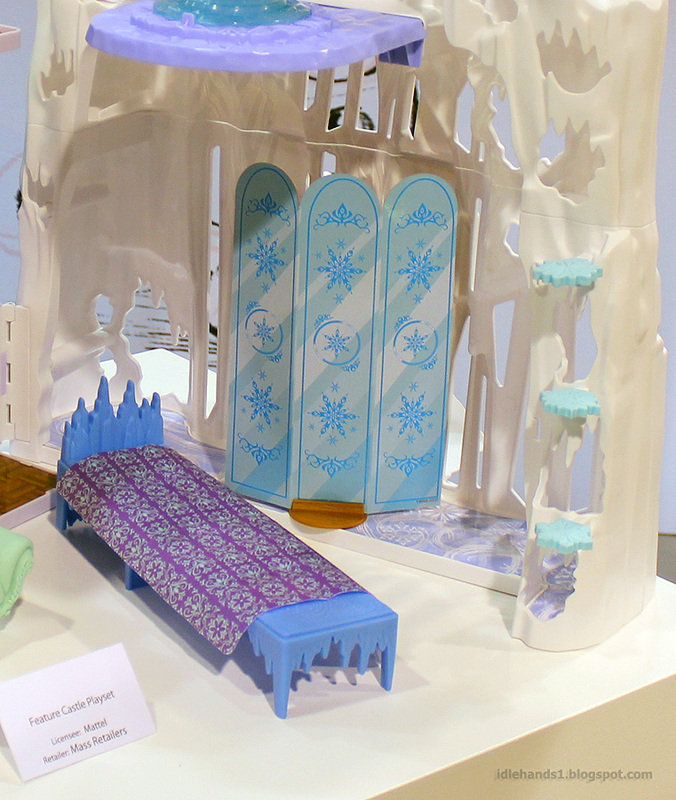 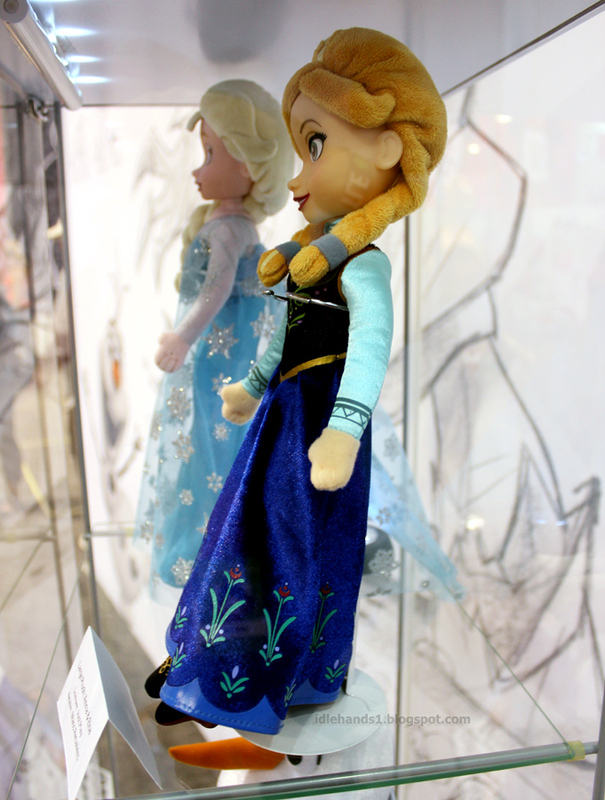 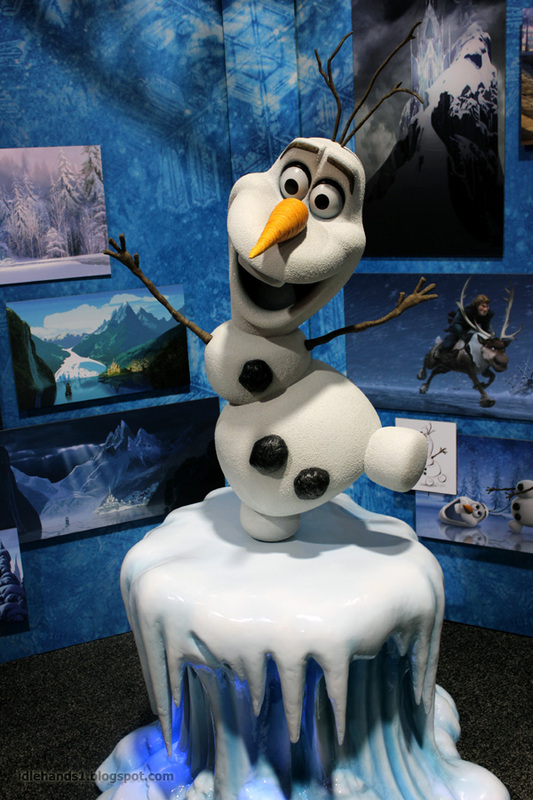 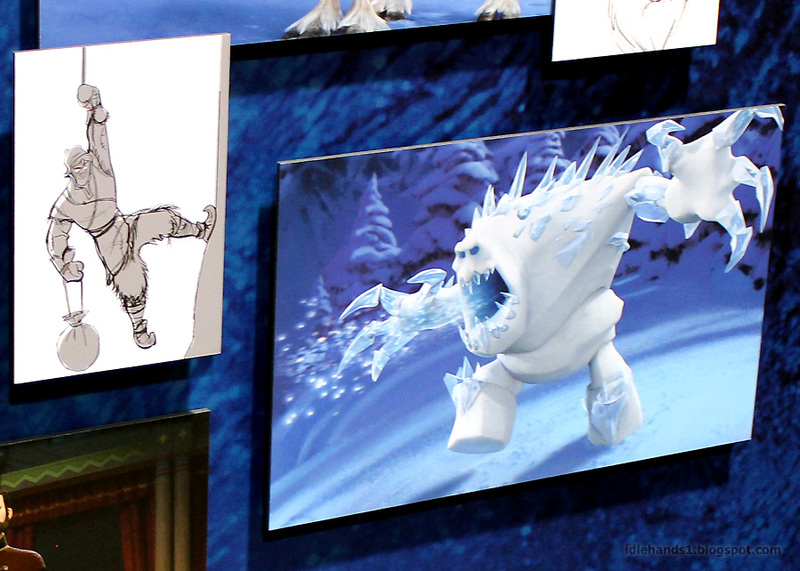 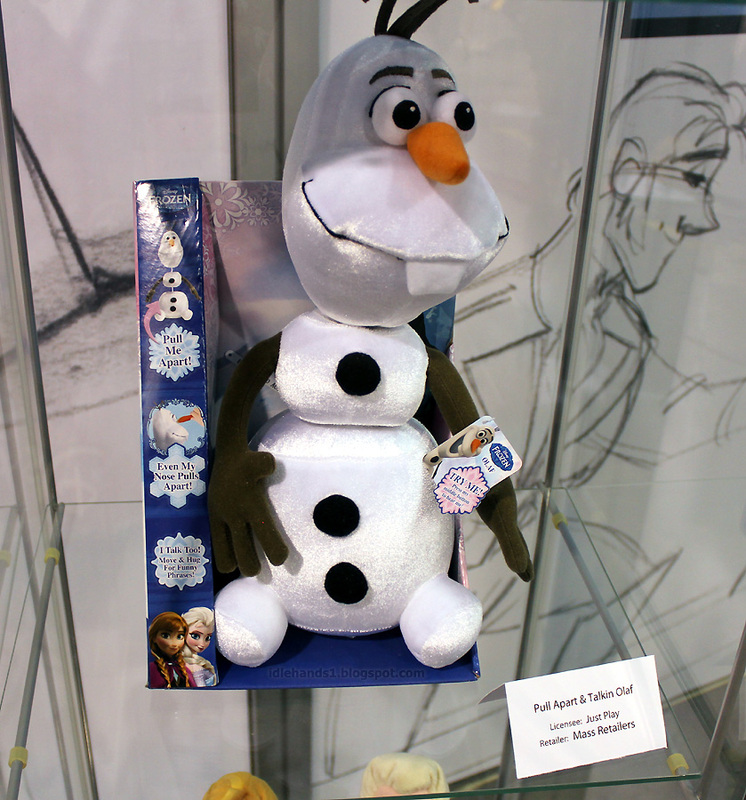 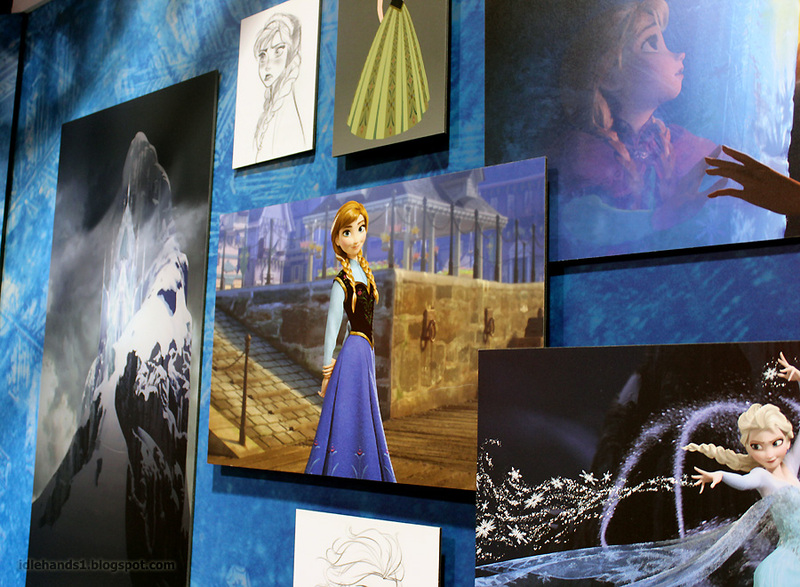 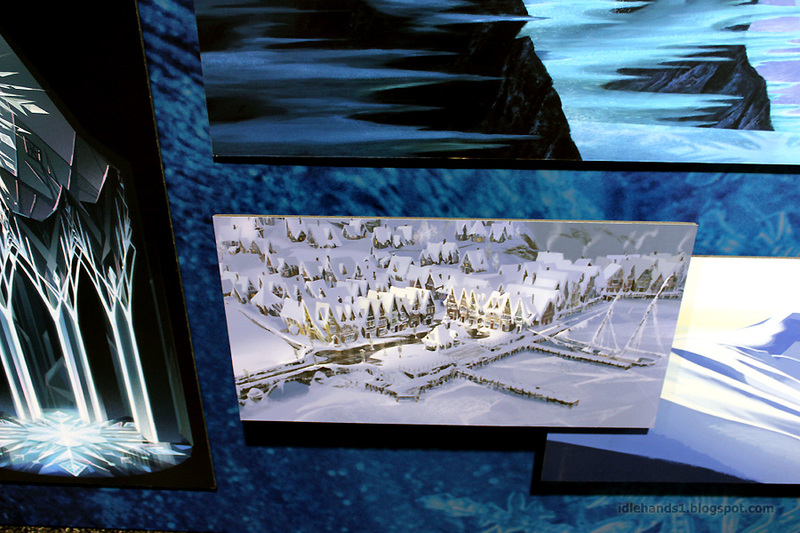 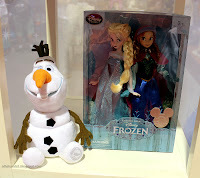 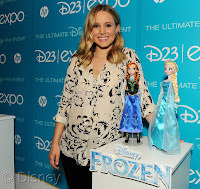 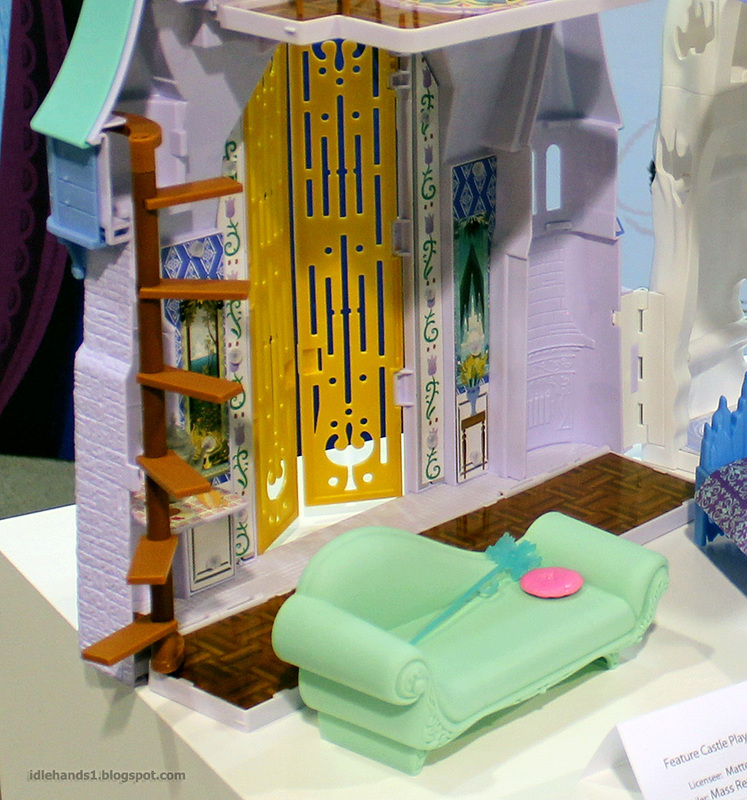 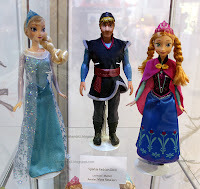 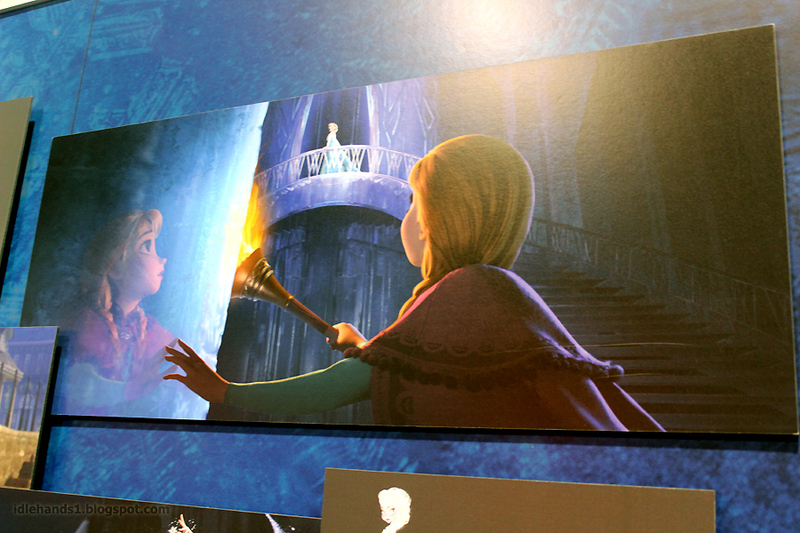 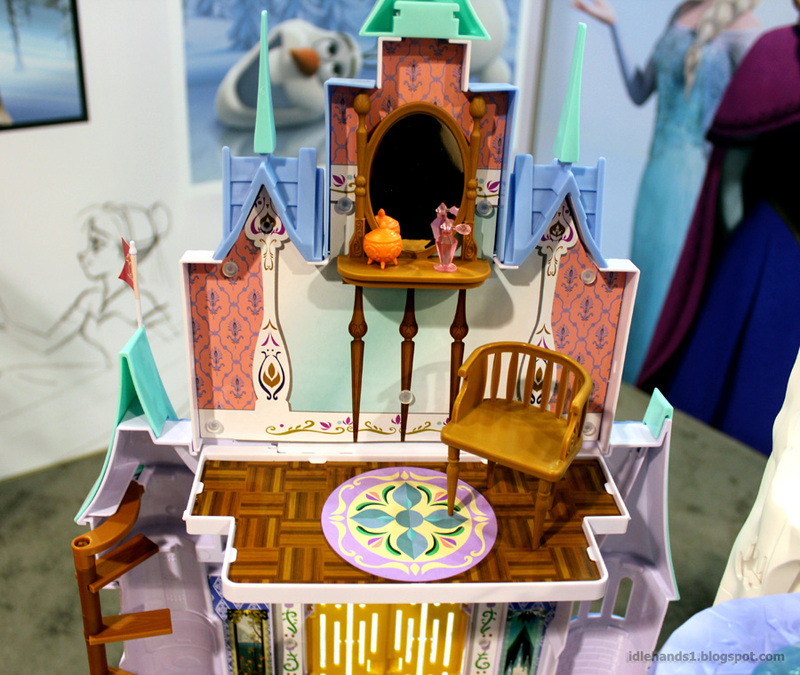 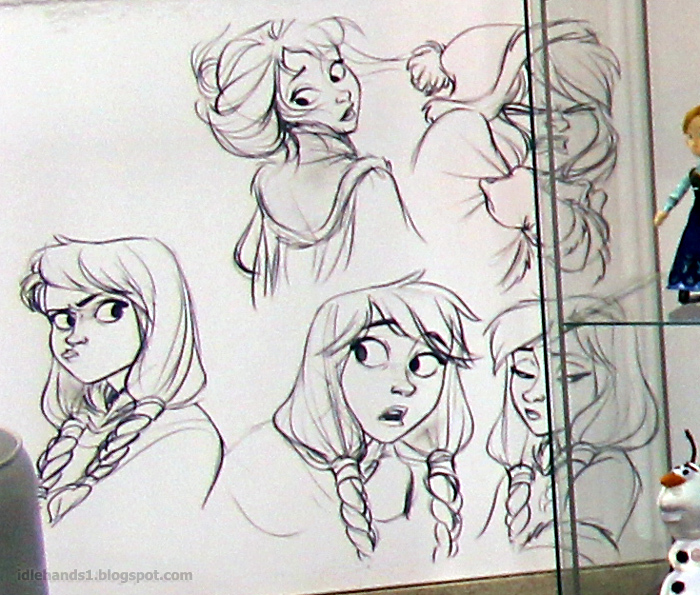 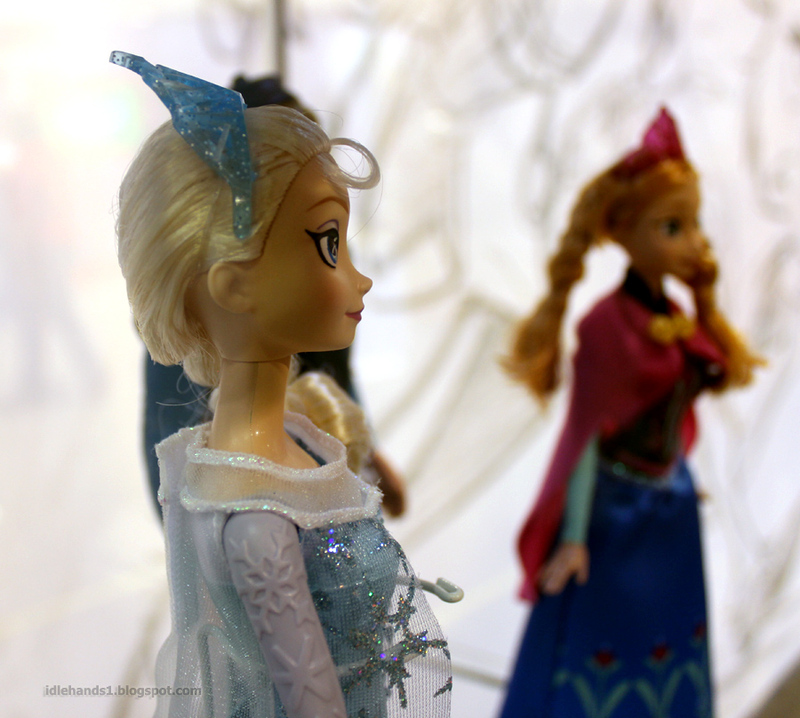 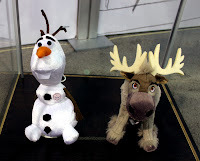 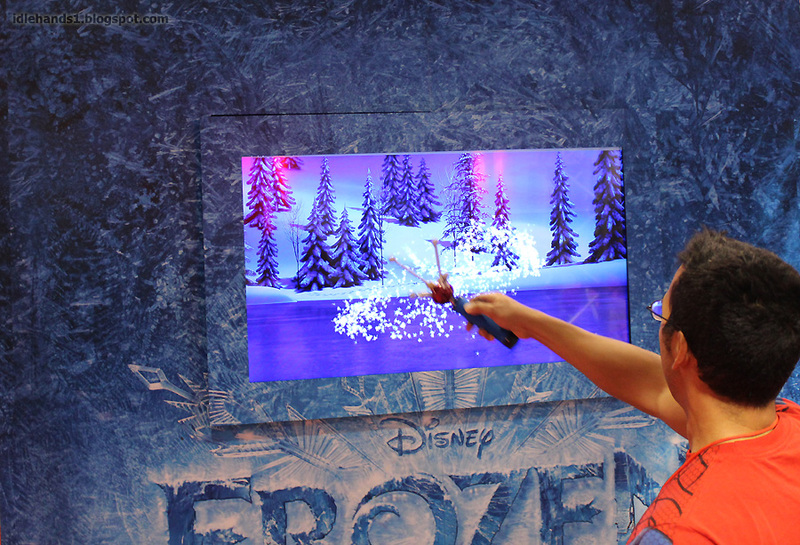 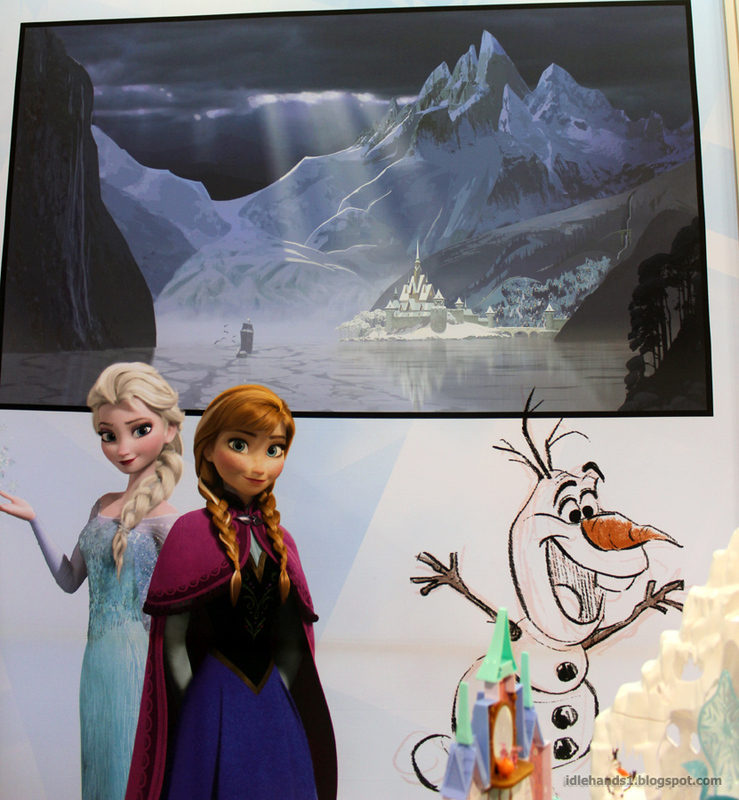 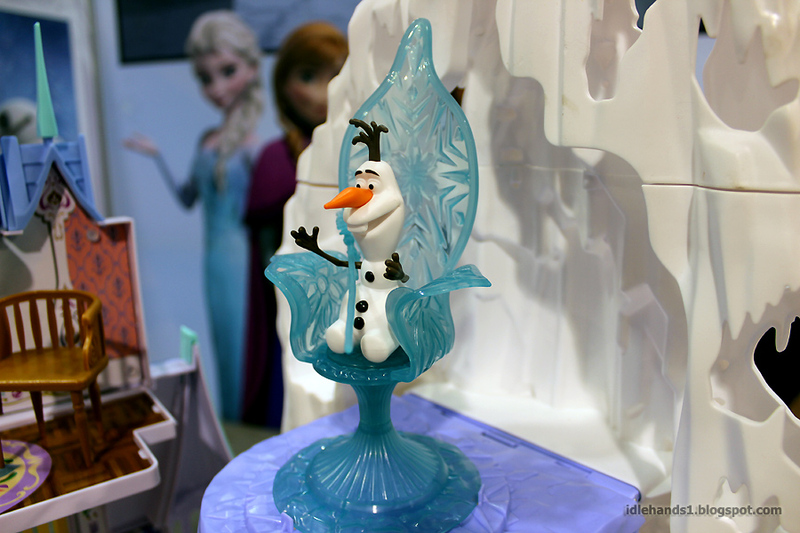 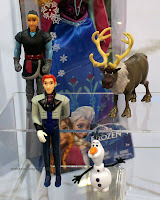 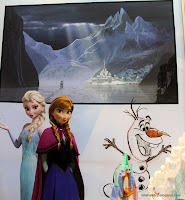 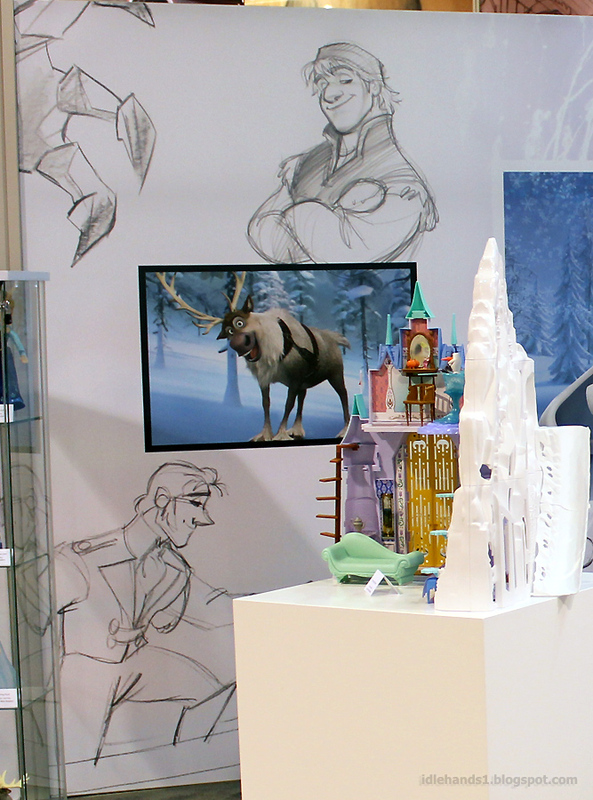 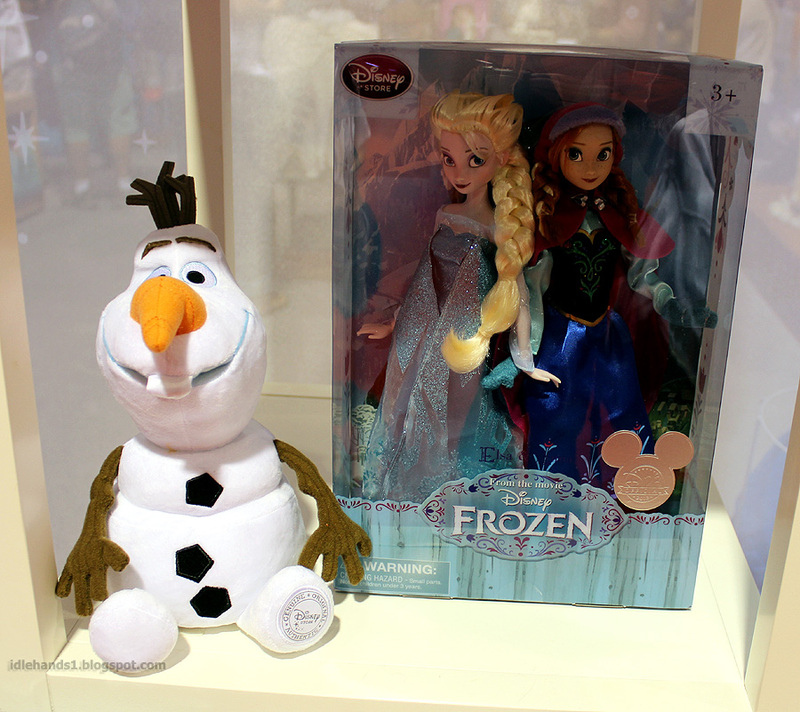 Walt Disney Animation Studios’ “Frozen,” directed by Chris Buck (“Tarzan”) and Jennifer Lee (“Wreck-It Ralph”- screenplay by), and produced by Peter Del Vecho (“Winnie the Pooh,” “The Princess and the Frog”), shared never-before-seen film footage, introduced by “Frozen” stars Kristen Bell, voice of Anna, and Josh Gad, voice of Olaf. 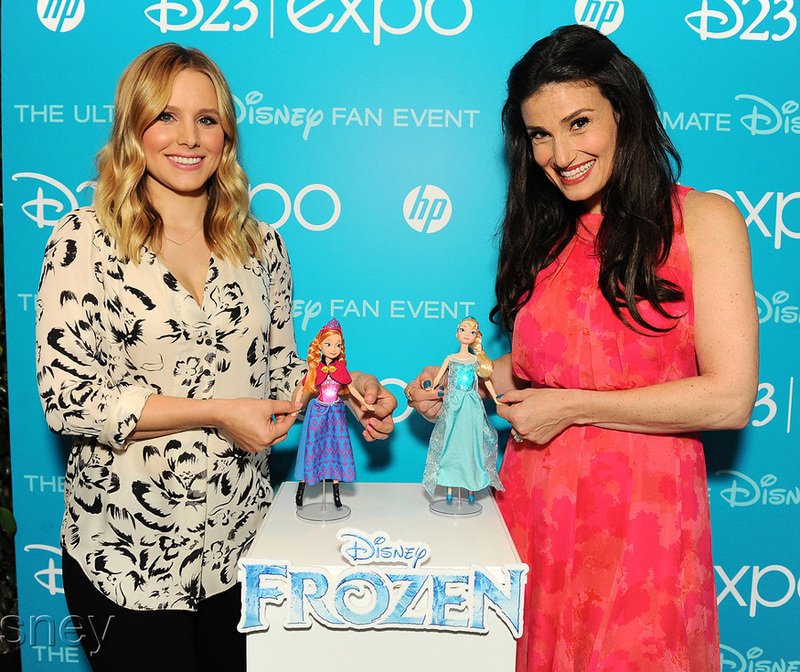 Fans were also treated to a show-stopping live performance of the film’s powerful new song “Let It Go,” sung by Broadway’s Tony® Award-winner Idina Menzel, who provides the voice of Elsa in the film. 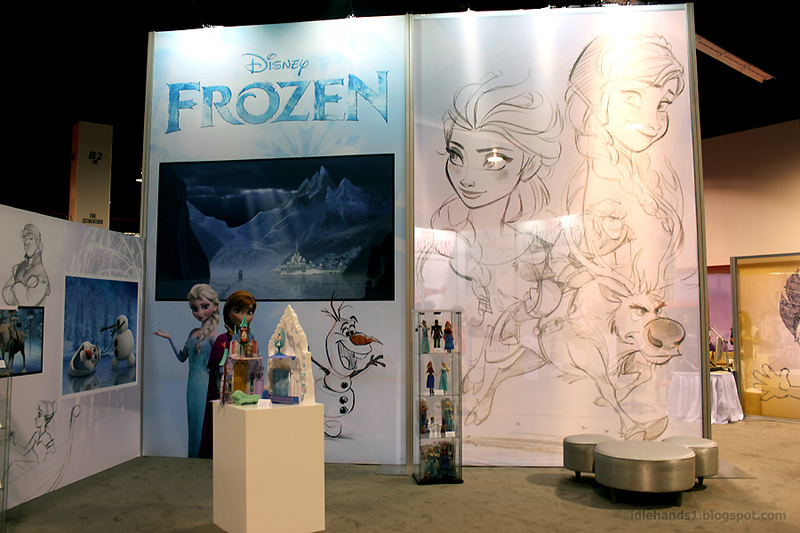 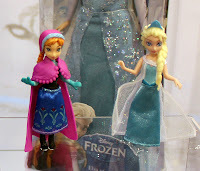 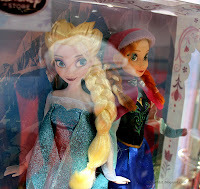 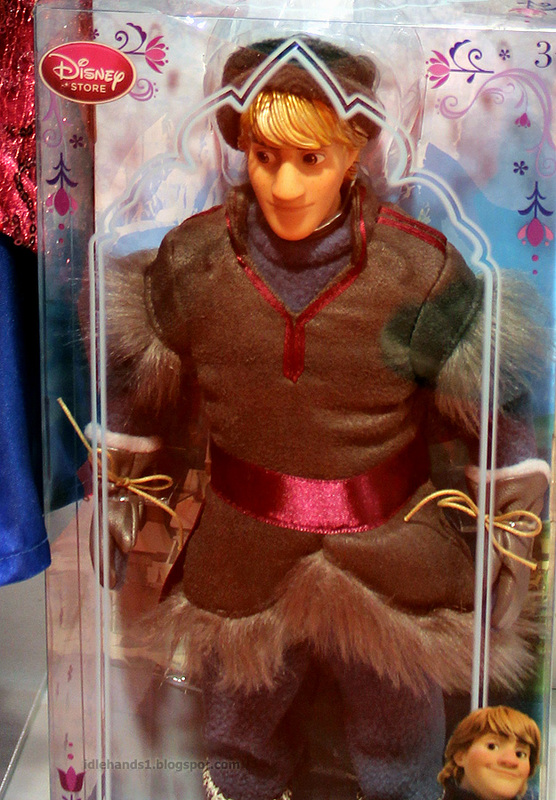 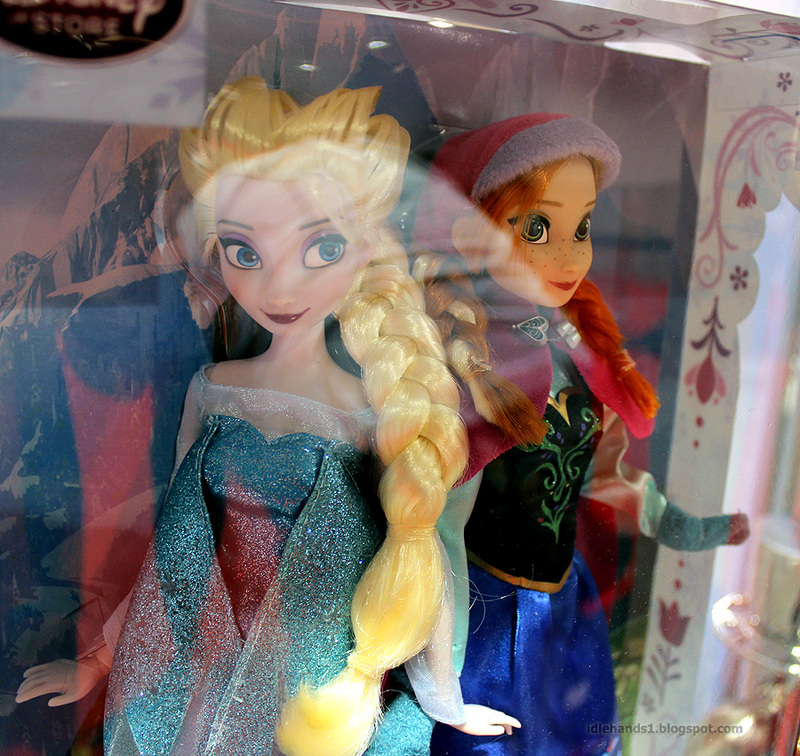 After some digging around the interwebs, I've turned up all squat as far as info on Disney's Frozen consumer products plans. 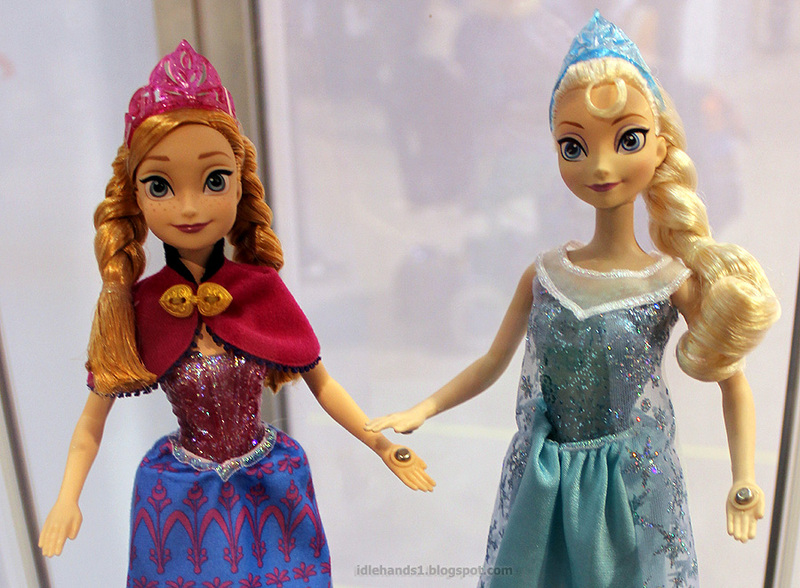 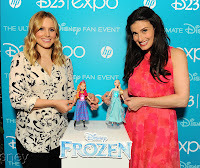 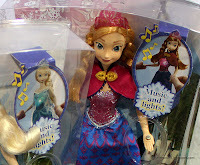 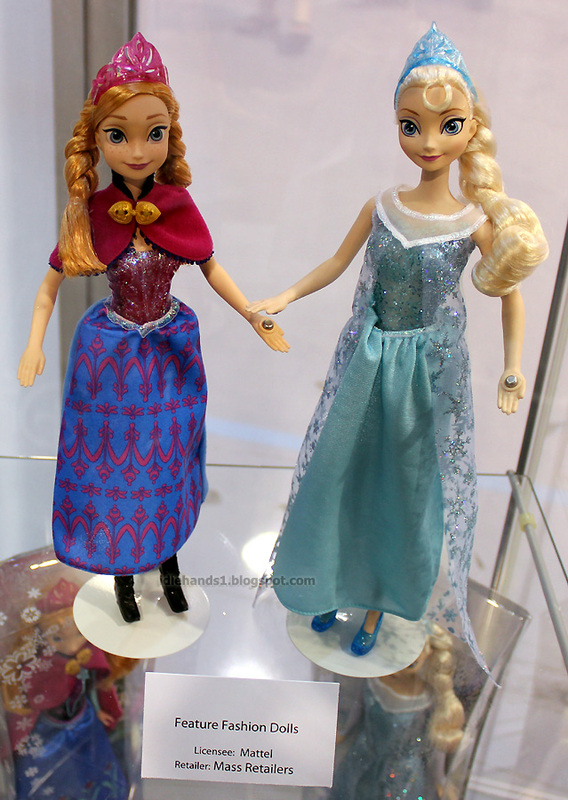 Hell, even the wordage that accompanies images of Kristen Bell and Idina Menzel greeting their Mattel dolls for the first time didn't reveal a thing, but hey, at least the ladies looked pretty! 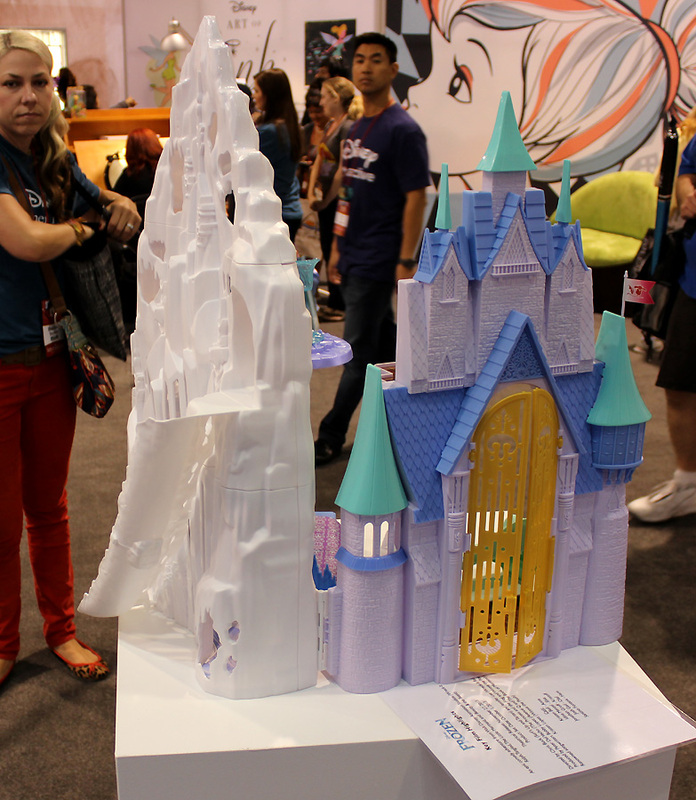 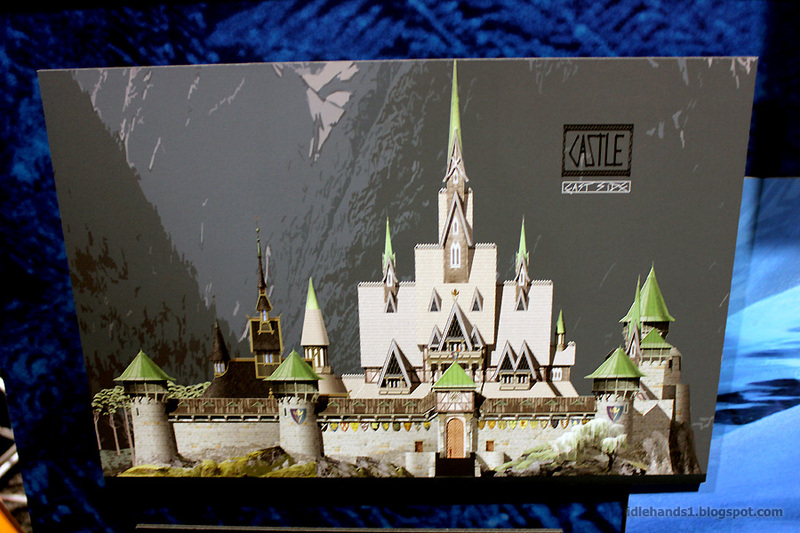 ...and now you're plotting how you can turn the castle into the Ice King's castle. 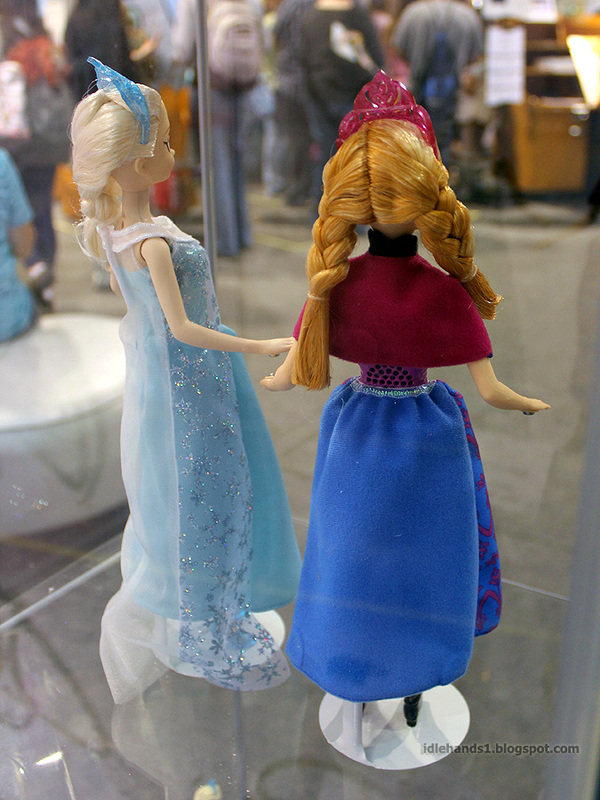 I knew we were friends for a reason. See the full gallery of images by clicking HERE!